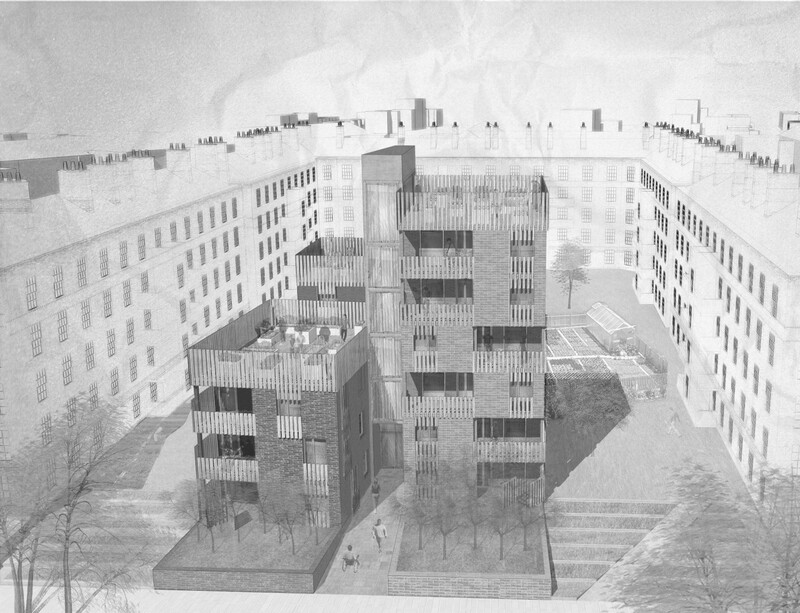 This design for high quality affordable housing is an attractive development on a brownfield site. 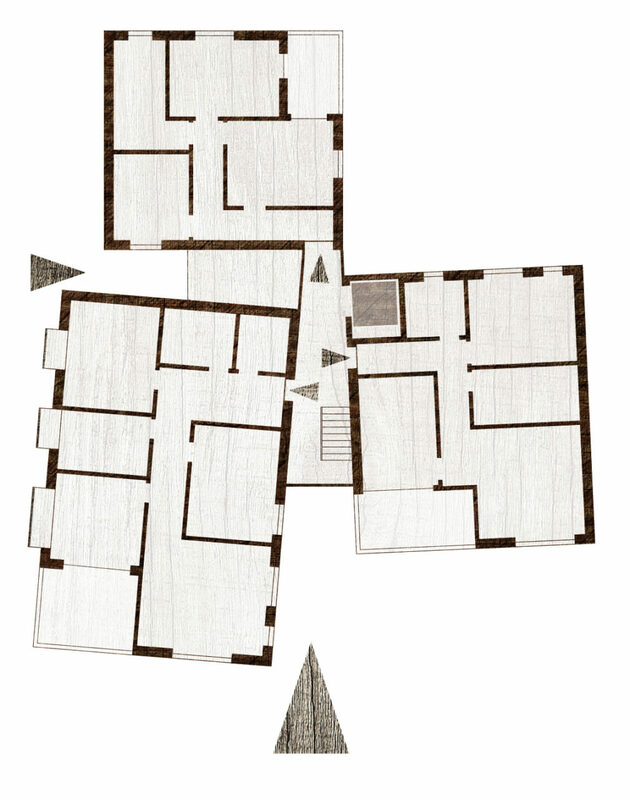 Three connected blocks radiate from a central staircase tower, each containing a series of 1, 2 and 3-bed apartments. The apartments are arranged as a series of differently sized modular stacks to give greater construction efficiency and visual interest across the development as a whole. A spacious and inviting entrance adds to the building’s strong street presence, while two flat roofs contain communal gardens with space for relaxation, play and planting. The building incorporates several environmental sustainability features: solar heat collectors integrated into the façade minimise grid energy use, the stair tower acts as a ventilation stack, while high quality insulation, solar shading and an airtight design regulate internal temperatures. A robust structure and materials palette will reduce future maintenance needs.